You are here: Home / Oral Hygiene / What Are The Different Plaque Removal Procedures? Prior to looking at the various plaque removal procedures, it is vital that we understand what plaque is. School of Dentistry of California defines plaque as, the soft deposit that cumulates up on the enamel – a part of the teeth. It happens as a result of bacteria development and is made up of bacteria, phosphorous as well as calcium. Plaque can be removed with ease through the following methods, i.e. regular brushing, flossing and utilizing mouthwash. But, the moment that the deposit calcifies, it can only be eliminated at the dental surgeon’s clinic. Recent research shows that calcified plaque more than often result in oral hygiene issues that affect approximately 75% of the adult population in the United States alone at some particular point. Use toothbrush: A majority of dentist recommend that persons who have dental plaque issues to utilize toothbrush as the primary means of removing them. It is the best known home remedy for dental plaque removal. 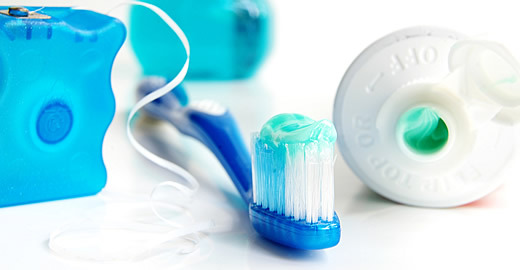 The best toothbrushes to use for the procedure are toothbrushes made from soft bristles as well as fluoride toothpaste. While brushing your tooth ensure that you have brushed all the surfaces.This ought to be done at an angle of 45 degrees. In addition, make certain that the brushing includes both up and down strokes. This enables the dental plaques that are hidden on the inner sections of the fore tooth to be removed. Care ought to be also taken on the kind of toothbrush that you use. Dentists recommend that every three months replace your current toothbrush with a new one. This is because of the wear and tare of the bristles. Furthermore, brush at least three times a day or after every meal. This ought to be done at an angle of 45 degrees. In addition, make certain that the brushing includes both up and down strokes. This enables the dental plaques that are hidden on the inner sections of the fore tooth to be removed. Care ought to be also taken on the kind of toothbrush that you use. Dentists recommend that every three months replace your current toothbrush with a new one. This is because of the wear and tare of the bristles. Furthermore, brush at least three times a day or after every meal. Other alternative methods of removing dental plaque include use of dental floss and mouth wash. Given that you may not be in a position to brush your tooth all the time especially if you are at work or school and that people snack a lot during the day, dental surgeons recommend the use of dental floss. These usually come in handy particularly when breaking and likely formation of plaque between the teeth. Nonetheless, it should be noted that improper use dental loss can also lead to gum infection. While using floss ensure that they are pushed against the plaque.